The meeting room “Sant’Agostino” is part of Palazzo Righini and, as the entire building is elegant and polished, thanks to its restoring which discovered and valorized many history proofs coming from the noble family who lived here and their culture. It’s the ideal location for business travelers, little or medium business meetings and congresses, seminars or training courses but also cultural or musical events. Sant’Agostino’s biggest and most prestigious room was born inside the seventeenth-century church known as “Battuti Neri”, adjacent to Palazzo Righini. In 1618 Augustinians Fathers founded a convent here: today we still can admire the totally intact church. They remained in this place until the Napoleon Era when, in 1801, they had to leave because of the Law on Convents suppression. Starting from 1856 the church became the Mercy Fraternity Headquarter (the fraternity is also known as San Giovanni Decollato in Roma). During 50’s it became a storage room: thanks to the restoring works it regained its ancient beauty. The Congress Centre provides the possibility to enjoy the Il Loggiato bar service and the Antiche Volte Restaurant’s cuisine. 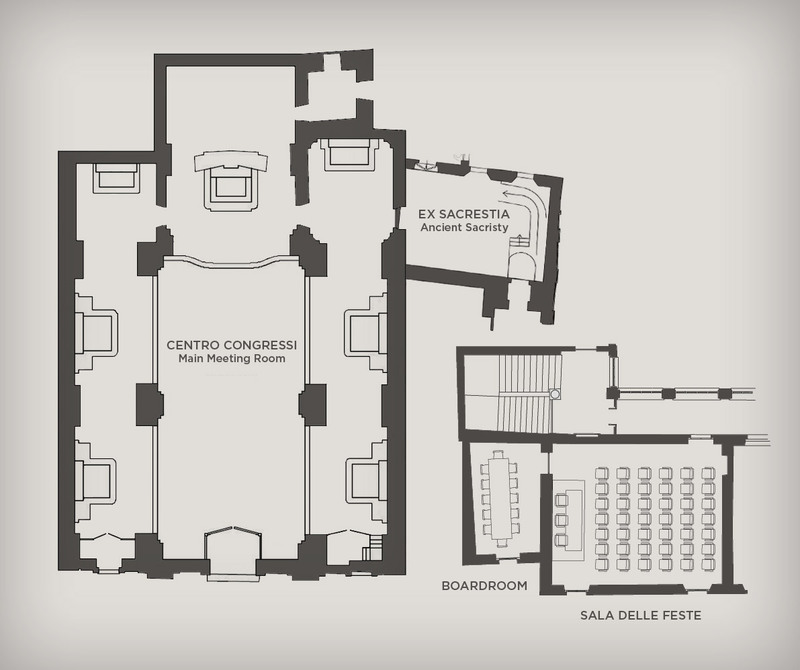 Upon request, Sant’Agostino Congress Centre could also provide a catering service (buffet lunches and dinners) and a Coffee break service. and often welcomes the Kitchen Courses (two cameras are available to record the chef’s lessons). a small (maximum 20 people) meeting room in the ancient sacristy, provided with screen and video projector.